Azerbaijan will hold a presentation on potential of the Baku-Tbilisi-Kars (BTK) railway in China in 2018, said Azerbaijan’s Economy Minister Shahin Mustafayev. He made the remarks at a meeting with Turkish Ambassador to Azerbaijan Erkan Ozoral, according to the Azerbaijani Economy Ministry. It was noted that the opening of the BTK railway is a historic event and this route will open new economic opportunities for participating countries through expanding transport ties. During the meeting, the sides also discussed the expansion of economic cooperation between Turkey and Azerbaijan, including the issues related to preferential trade agreement and other topics of mutual interest. The official opening ceremony of the BTK railway was held in Baku Oct.30. The BTK railway was constructed on the basis a Georgian-Azerbaijani-Turkish intergovernmental agreement. 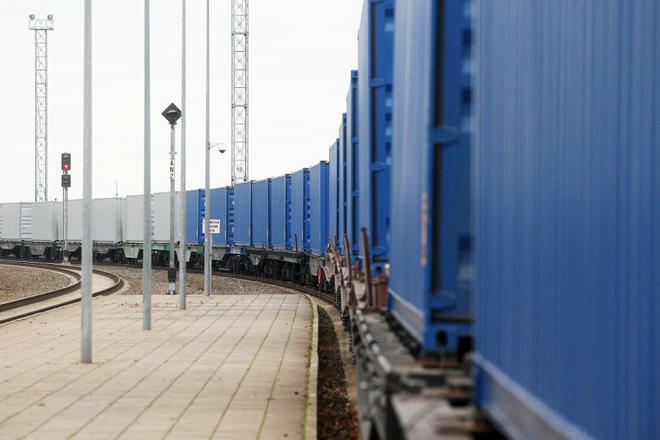 The railway’s peak capacity will be 17 million tons of cargo per year. At an initial stage, this figure will be one million passengers and 6.5 million tons of cargo.